You are cordially invited to join me in our first event of the year. 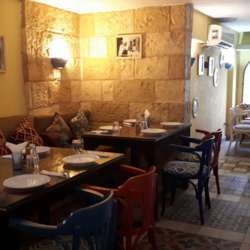 You will savour unique seafood Lebanese dishes and freshly baked bread. Their specialities are definitely the mezze, especially with garlic paste and tabouleh. Signature dessert dishes include the cheese and honey, aubergines and mehalabeya. Hope to see you all..